GCPWA cares about its members and stakeholders, therefore, we want to assist you in finding answers to questions promptly. The Frequently Asked Questions (FAQ’s) below highlight specific questions that are often asked of the Global Christian and Professional Women’s Association (GCPWA). All of the links are to existing pages on GCPWA’s website. Answers to many additional questions not addressed here may be obtained by contacting us directly and one of our representatives will respond to your inquiry as soon as possible. The Global Christian Professional Women’s Association (GCPWA) is a not-for-profit organization that exists to foster the professional and spiritual needs of Christian and professional women globally. We earnestly seek to help each other throughout our lives and provide prayer, advice, assistance, and support for Christian professional women worldwide. 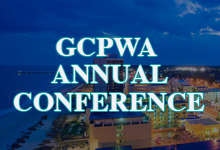 What does GCPWA stand for? We believe that God is the Father and that His Son, Jesus died for our sins. We believe in the Trinity of God the Father, Jesus the Son and Savior, and the Holy Spirit. We believe that we should work together as sisters in Christ to love and support each other in our walk with Christ and in our work for the Kingdom. What are GCPWA’s core values? Our core values rest upon our guiding principles which are simple: Love God and Love Others. We have seven value points that keep us grounded as an organization which are: Faith, Service, Excellence, Transparency, Inclusion, and Advancement. How can GCPWA help me? There are over 15 ways that we can help you as a Christian Professional woman who is a member of GCPWA. Our deepest desire as an organization is to link arms with one another and through fellowship and commonality in Christ to extend our influence into the workplace. For more information on how we can help, check out our Benefits of Membership page. 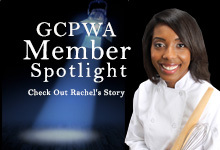 What is the Membership Fee for GCPWA? General Membership at GCPWA is free of charge. GCPWA charges a fee for premium membership only. General Membership to GCPWA does not expire unless we receive written notification from the member. Premium Membership to GCPWA is for the term of 1 year. Membership renewals are available each year following the completion of your first year of enjoying the benefits of the association. How can I refer someone to join GCPWA? We welcome and encourage member referrals at GCPWA. To invite others to apply to join, visit our 'Refer a Friend' page. You can also send us a note on our Contact Us page and include their name, phone, and email address. Upon receipt of the referral, we will send an invitation to apply for membership along with more information about GCPWA. Where do I call if I need assistance? If you have questions, need help, or need support, please email at info@gmail.com or call 866-77-GCPWA. What is the cultural diversity of GCPWA? GCPWA is committed to cultural and ethnic diversity. At GCPWA, we see women through the Holy Spirit as perfect children of God and commit to treat each other with love and respect regardless of your race, ethnicity, or culture. The Leadership team is made up of a diverse group of women who are committed to all cultures and all women globally. There are no borders that bind love and prayer. Yes, as GCPWA continues to expand each year, the boundaries for the association are limitless. The association began in Chicago, IL and is headquartered there. GCPWA continues to seek opportunities to unite with Christian professional women throughout the world. Members are global and chapters are consistently opening. If there is not a chapter in your area and you are interested in opening one, please click here.